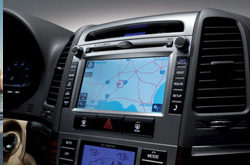 Van Hyundai is a trusted resource for reviews of the 2013 Hyundai Santa Fe - scroll down below the video to begin reading. Where do we get these Santa Fe reviews? From dominant writers in their industry. Make intelligent decisions when it comes to your next auto purchase, don't take guesses! Each article is crammed with information and vehicle features in way that's easy to understand. 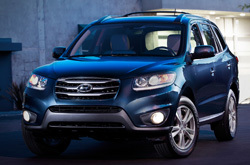 Is the 2013 Santa Fe right for your family? Continue reading and find out! When comparing the 2013 Hyundai Santa Fe alongside the 2013 Honda CR-V, Ford Explorer, Chevy Equinox, Toyota RAV4 and the Kia Sorento, and you'll spot that the Santa Fe outperforms those autos in loads aspects. Catch a glimpse of just a few of the reasons below. Hyundai drivers don't have to drive far to find superb auto repair technicians and genuine OEM made parts. Our Dallas area Hyundai repair facility is conveniently planted by copious cities and we give a 12-month warranty on each repair. When you bring your Santa Fe to our auto repair facility in Dallas, you'll get valuable service from our competent mechanics. Our techs can take on a variety of jobs - from labor intensive stuff like Hyundai transmission repair to less trying tasks like battery and tire replacement. For valuable Hyundai repair in Dallas, drive your Santa Fe to Van Hyundai, where you can anticipate receiving hassle-free service. Find out how much you can save on your next service! Just follow the link below.